Anyone can submit their project! We love to see what you create with Penny Black products. All levels of stampers are welcome. Submit any type of project inspired the clean and simple designs or techniques shown here on our SIMPLICITY site. If you want to read more about how each Simplicity Sister interprets the “clean and simple” style, click HERE to read their introductory post. Feel free to enter multiple projects. Your project must use primarily Penny Black products. * Add it to the Penny Circle Flickr gallery. * Leave a comment on this post linking us to your blog entry or online gallery. * Post it to our Facebook page. WHEN CAN I PLAY ALONG? This challenge will be open until Sunday, March 1 at 11:59 PM PST. 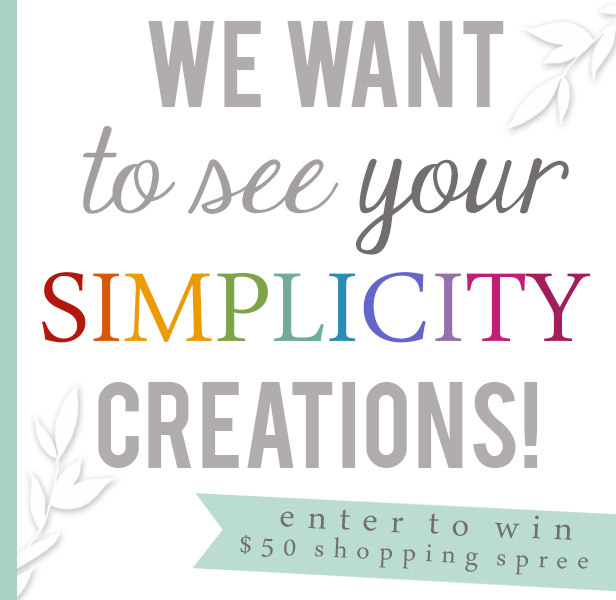 One lucky winner will receive a $50 shopping spree to the Penny Black online store. We will announce the winner here on this site. This is totally awesome!! I love this blog!! You ladies give me such such great tips on how to stay CAS!! I look forward to Tuesday’s and Thursday’s because of this blog!! This CAS card was made for my sister. Is it ok to use Spellbinders dies on my entry? Hi Dee! Yep, you are welcome to use Spellbinders dies on your entry. Can’t wait to see what you create! What a fun challenge! I love to make CAS style cards. Here’s my entry into the challenge. Thanks for the chance and loving the DT projects thus far. Great challenge, hope my card is CAS enough. Totally enjoying the CAS card challenge. Here is a CAS watercolored card. So glad I found you through Anita! You can find my card at: http://gottadothehappydance.blogspot.com/2015/02/its-good-day.html Thanks so much! Finally got a card made for the challenge http://ggnursecreations.blogspot.com/2015/02/i-did-it-one-layer.html Thanks for the chance to win! Love challenges and trying very hard to use clean and simple techniques. Hope you like what I did. What a brilliant challenge!! My entry is up at http://handmadecardsbydeb.blogspot.com.au/2015/02/penny-black-simplicity-at-its-best.html ~ I hope you like it! Thanks for the chance to win! I almost forgot! Here is a card I made with this challenge in mind! Just wondered when the challenge ends and when the winner will be announced. It is in reality a nice and helpful piece of info. I am glad that you shared this helpful information with us. Please stay us informed like this. Thanks for sharing.